Down by eight with 2:30 to go in the opening frame, the Tigers mounted their first of three comeback efforts in the game. With 1:12 left, Penn’s lead had shrunk to 40-38. A missed 3 pointer by Miles Cartwright put the Tigers in position to tie but Denton Koon could not finish at the rim. Given another chance, Cartwright buried a long 3 to send the Quakers into the locker room up 43-38. Nelson-Henry and Dougherty gave the Quakers a decided advantage on the boards, perhaps the biggest reason for Penn’s success in the first half, although the Tigers’ shooting 2 of 11 from beyond the arc certainly helped. To this observer, the Tigers were getting good looks but the shots just would not drop. Characteristically, the Quakers were turning the ball over at a rate that must have concerned Allen. The second half began much as the first half had finished: the Quakers seized the momentum, running up an 11-point lead before Princeton could get its gun from its holster. Wisely switching to some zone defenses, the Tigers managed to stifle the Quakers somewhat, getting the lead down to a manageable three halfway through the second period. When Princeton went ahead, 61-60, at the 7:43 mark, Tiger fans exhaled for the first time all evening. Brase’s huge defensive rebound off a rare Dougherty miss turned the outlook positively rosy. A few seconds later, Hicks committed his fourth personal, sending senior Will Barrett to the FT line to extend the Tigers’ lead. It may not be hyperbole to suggest that Jerome Allen’s career at Penn was also on the FT line. Barrett had made 2 of 2 in the game, 75% for the season and was the nation’s best 3 point shooter last season. The Tigers, as a team, made 8 of 9 in the second half last night, a glittering performance on the road. Of course, on this night, the one second half miss came at exactly the wrong time. Nelson-Henry grabbed the rebound, a distressingly familiar sight, giving Penn possession trailing by only 1 and not the expected 3. At the other end, Penn’s Julian Harrell launched a three from the left corner, a questionable choice at best. He missed. But, to add to Barrett’s misery, he was whistled for a foul on the shooter, presenting the relieved Harrell the gift of 3 FT’s. He managed to can 2 of 3 to put Penn back in front by a point, 62-61. Dazed, the Tigers watched helplessly as the Quakers once again built an eight point lead, 71-63, with 4:15 to go. But again the Tigers came roaring back, helped in no small measure by Hicks’ fifth foul, sending him and his team-high 18 points to the bench, just under the four minute mark. Losing Hicks after Cartwright had limped to the bench earlier left the Quakers without an effective ball handler at crunch time. The Penn turnover machine went into high gear. (The Quakers had 18 TOs in the game.) Four free throws, then two Spencer Weisz steals resulting in two Ben Hazel lay-ups and the Tigers were once again even, 71-71, with 2:14 to go. And what an agonizing 2:14 it would be. Jamal Lewis made the front end, but missed the second, at 1:46. Penn up 72-71. In what seemed like a mystifying move, Allen had subbed Henry Brooks for Nelson-Henry prior to Lewis’ shots. Naturally, Brooks grabbed the rebound off the miss, outhustling the Tigers. Brooks then missed a jumper near the end of the shot clock, but Penn managed to regain possession on the misfire! Cartwright, courageously returning to the floor despite obvious mobility issues, turned the ball over with 49 seconds to go. A few seconds later TJ Bray, the night’s leading scorer with 19, missed a trey. This time, the redemption-seeking Will Barrett grabbed the offensive carom for the Tigers. His in-close shot attempt drew the attention of several defenders but no call from the whistle-blowers. The ensuing melee under the Princeton basket did result in a whistle: Hans Brase’s fifth personal. Jamal Lewis made good on both free throws, making the lead three with 29 seconds remaining. The Tigers needed just five of those seconds to tie on a clutch 3 by, who else, Will Barrett. Fortunately for the Quakers, Cartwright was on the floor and was fouled by Bray with 5 seconds to go. The gritty senior made it look easy, canning both for a two point lead. The Tigers managed to get the ball into the front court and call time out to set up a final play with 4.2 seconds left. An alley-oop pass to Barrett came tantalizingly close to paying off, but went awry. Game over. Statistically, Penn won the game by grabbing 15 more rebounds than the Tigers, neutralizing to some degree the effects of 19 TOs. Princeton had four players in double figures, showing nice offensive balance, but this team must get to 40% on its threes if it continues to allow other teams to get into the 70’s. The “no-call” on Barrett’s shot brought to mind some other “game-costing no-calls” in Tiger history. A panel of experts has concluded that it now ranks third on the All-Time list. Second place is a one-point loss to Temple in John Chaney’s last year. There were two “no-calls” on the same shot, a foul and a goal tend. First place, of course, will be held forever by the Georgetown loss in the 1989 NCAA tournament when Alonzo Mourning clipped Tiger center, freshman Kit Mueller, at the buzzer. When asked about it, Pete Carril famously suggested he would “take it up with God” when he got to heaven. Great win for the Quakers. Tough loss for the Tigers. After two weeks off for exams, it’s on to Cambridge. DEFINITELY a foul on Barrett’s take – no question. Also, Princeton’s defense looked a step slow the whole game, and made Dougherty look like a world-class athlete. Koon was aggressive – got a few shots blocked – but looked like he’s on track to steal back some of the minutes he’s lost. Hazel didn’t show me much, Brase just had an off night, and Barrett needs to grab more than 2 boards in a tight game like that. Wake up call for the Tigers. I haven’t had the will to cue up the recording.I’m told NBCSports analyst Stan Van Gundy was emphatic in declaring the call was missed. But it’s silly to blame the refs in a game we were favored to win by at least 5. Georgetown, however, is another story…..
You are correct – Stan Van Gundy did state that Barrett was fouled on the play. I do understand the outrage from some Princeton fans. While the call should have been made, it’s not as if that was the end of the game. It would have left Princeton down 1, tied or up 1 with 28 seconds to play and Penn ball. Who knows what happens from that point. 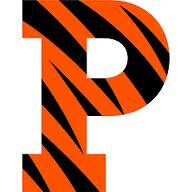 The last game and a half, against Penn and Liberty, have been tough for Princeton. For a team that relies so much on the 3-point shot, 8-36 (22.2%), it is not going to win many ball games against decent or better teams with that percentage. They need to regroup since games may be tough against other Ivy teams that have a solid front court (Dartmouth, Brown and Columbia), and even better 3 point shooters than Penn (Columbia, Brown). Take heart Mr. T, the Tigers are still a formidable team. Quite frankly, I haven’t seen them look so bad all season. On the other hand, I’d never seen Penn dictate the pace of the game all season either. Unfortunately, when Jerome does that his terms can be harsh–run and gun–difficult for a set offense team like Princeton to deal with. Hopefully, Henderson will take this defeat and have his team come out smoking against Harvard. I think we’ll all on the same side this year.